Hello and welcome to Blacksci-fi.com’s coverage of the Electronic Entertainment Expo. or what industry folks call E3. 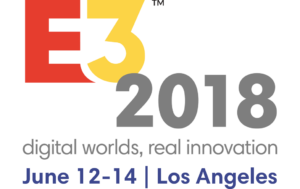 This is arguably the biggest conference for the video game industry, and all the major players come ready to announce upcoming projects, games, and hardware that further consumer excitement and set media buzzing with all the goodies that are coming soon. Sit back and relax, while BSF gives you the relevant geeky news comes out this week. Next up on the list: Nintendo. 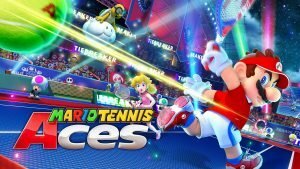 The Nintendo Switch continues to shine with its portable gameplay, but with Nintendo’s model of large reliance on its first party games, there can be stretches between its major properties that leave large relase window gaps. Will they find something to annouce that will reenergize it’s fans? Let’s jump in to Nintendo at E3! The addition of the most popular game in the world is exactly what Nintendo needed. In the past, popular third party games would ignore Nintendo gaming systems for the more powerful Xbox and Playstation consoles. But the strength of the Switch lies in its portability, and what is more appealing than being able to take the most popular game on the go? Fortnite has been a phenomenon ever since it released into the world last year. This battle royale, building, dancing, free to play free for all is both fun and competetive for a generation of gamers. Nintendo has also allowed for players to import their Fortnite accounts so all of their characters goodies can now transfer over to the Switch seemlessly. Super Smash Bros. Ultimate has fighting game fans everywhere salivating. This is the largest crossover video game that has ever been created, with a roster of over 60 characters including those who were one time fighters or DLC characters. Eight player battles are also making a return to add another layer of craziness as players compete to knock each other off of new reimaginings of classic stages. As a fighting game fan, one wonders about the balance in a fighter with so many characters, but with support of the Gamecube controller, Nintendo is showing their dedication to continue to make a tournament worthy game. One can hope that Super Smash Bros. Ultimate will make a playable appearance at Evo 2018 this year. Ok, so when the Switch was announced, I believe everyone thought that it would be an excellent platform for a Mario Party game. Well in October of this year, Super Mario Party will be here in time for the holiday season. I’m curious to see how Nintendo wil intergrate the motion controls into each of their minigames after being able to demo the controls to find out what work and was doesn’t in 1, 2, Switch back when the console launched. Mario Tennis Aces is getting two new DLC characters in the form of Koopa Troopa and Blooper this summer. Splatoon 2 is getting an expansion which includes new a new character and a single player mode which is available now. Hollow Knight, Paladins, and DragonBall FighterZ are either out or coming to Switch. So is fan favorite Fire Emblem. This E3 for Nintendo was extremely bare bones and disappointing. Fortnite coming to the Switch should have been the focus point, but with so little following up that announcement, Nintendo fans are left once again wondering if the lineup of games will allow the Switch to continue to thrive. That concludes BSF’s coverage of Nintendo. Thanks for staying tuned throughout the week for E3 updates. Happy gaming!